This summer, Simpsons turns 25 years old. And we turn five. Unrelenting in our insistence that we celebrate these milestones TOGETHER DAMMIT, we handcuffed ourselves to the legendary restaurant's stove, and wailed like a jilted lover, until they capitulated. Thus, for our joint birthday bash, the Edgbaston institution will be showcasing some top dishes from the last quarter century and we'll be, y'know, giving out some tote bags. 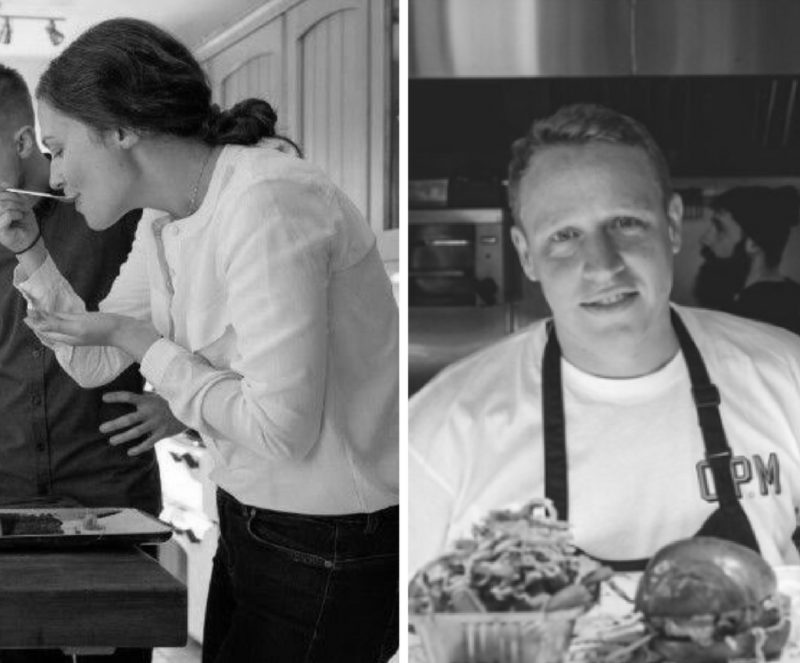 In honour of this ̶f̶o̶r̶c̶e̶d̶ ̶p̶a̶r̶t̶n̶e̶r̶s̶h̶i̶p̶ harmonious collaboration, we spoke to just some of Simpsons' key culinary brethren about their memories of working in the venue that kickstarted Brum's fine-dining revolution. Having previously worked with Andreas Antona (owner), Luke joined him and Andy Waters in the original Kenilworth Simpsons, shortly after launch. Luke remains at Simpsons and is now executive chef. "Honestly? I don't know what the formula for success is — we're a firm but fair kitchen, and people know when I just raise an eyebrow what it means. We've had a lot of fun, on the way. Just this week Glynn [Purnell] and I were reminiscing about "Mangé Club". Back in the 90s we'd all put a fiver of our Friday tips back into a pot, until we had £50. At the crack of dawn on a Saturday, we'd pile into a car and head to London, or the Cotswolds, to try a restaurant, usually with a Michelin star. We hit The Ivy, Marco Pierre White's places when he was in his heyday, and the big country houses, then rush back for evening service. It was our morning off, so you'd think we'd want to spend it with girlfriends or mates, but Mangé Club was about the togetherness as much as the food. And it made for some interesting Saturday services. 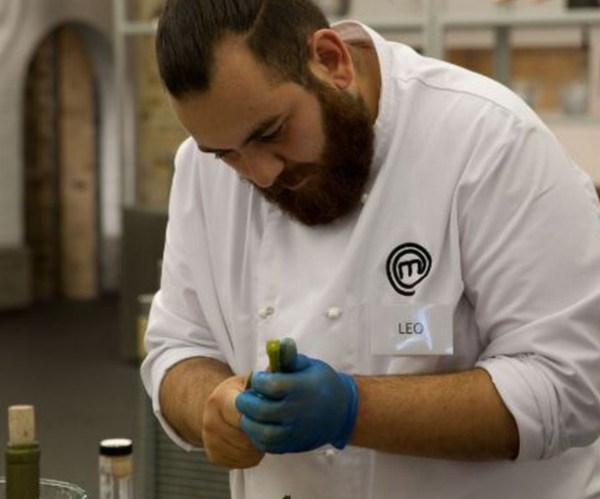 Yeah, I'm pretty proud of what we've achieved, and even more proud that we're still producing talent like Leo [see below], who turned up at our backdoor aged 16, asking for a job. Now, he practically runs the place." In it from day one, Andy's gone on to own Michelin-starred Edmunds, and you can now find him at Waters in Resorts World. "Not many people know this but the original team was actually me, Andreas and his Dad. He offered to give us a hand and ended up working full-time. With second-hand stoves, raffia chairs, and seagrass carpets, we were opening a bistro, and look how it turned out! 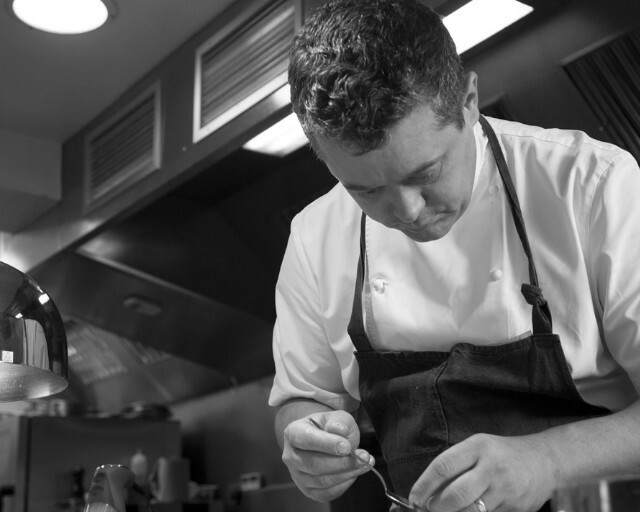 When Glynn came on board, he was basically the young Marco Pierre White — fiercely ambitious and wanting to beat everyone up. We brought him down a peg or two, and I'm very proud of what he's achieved. I've learnt so much from Andreas — in cooking terms we've all grown up together, and what a pleasure it's been." 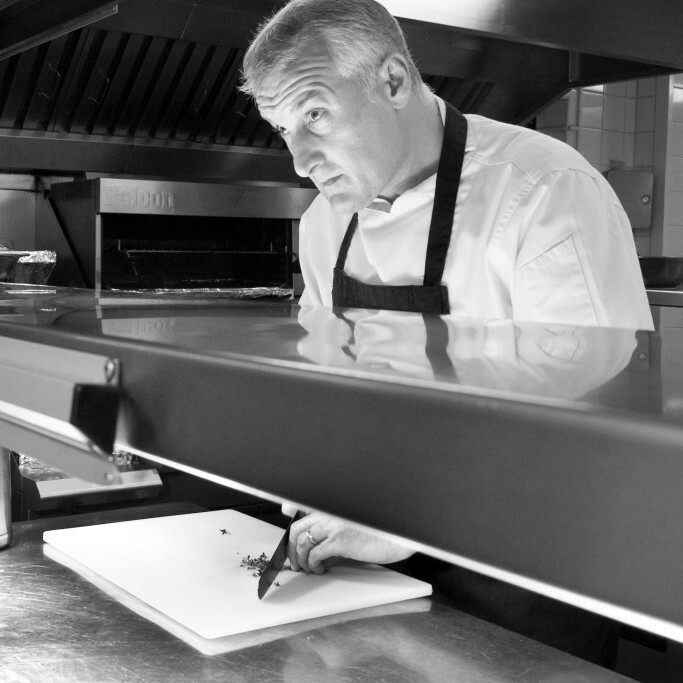 Glynn joined the team in 1996 as chef de partie. 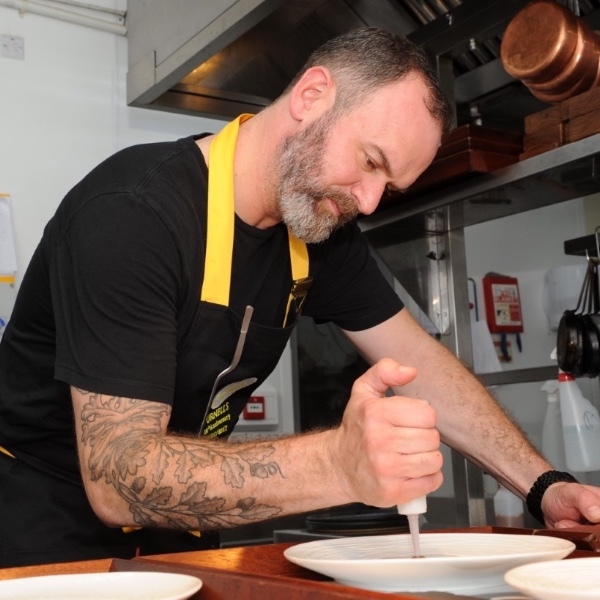 He now owns Michelin-starred Purnell's and is a regular on Saturday Kitchen. "It was me, Luke, Andy and Andreas — the team that originally won the star. I was 23, and we were an incredibly hard-working professional kitchen, but we also had explosive fun. This one night, every table had cancelled because of snow, so, like you do, we had a snowball fight. Things got out of hand pretty quickly, and chasing each other round and round, we smashed through the kitchen's double doors, to reveal this poor lad from France who was doing a placement with us. "What the f*** am I doing here?" was his expression. 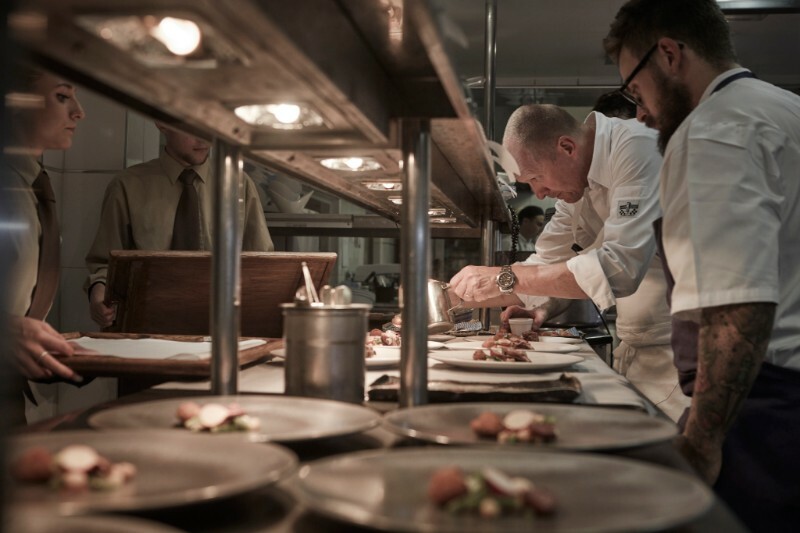 It was a brilliant, unshackled time to be a chef." Starting off on work experience, Matt made it all the way to head chef, before leaving to set up hotly-tipped Cheal's, in Henley-in-Arden. 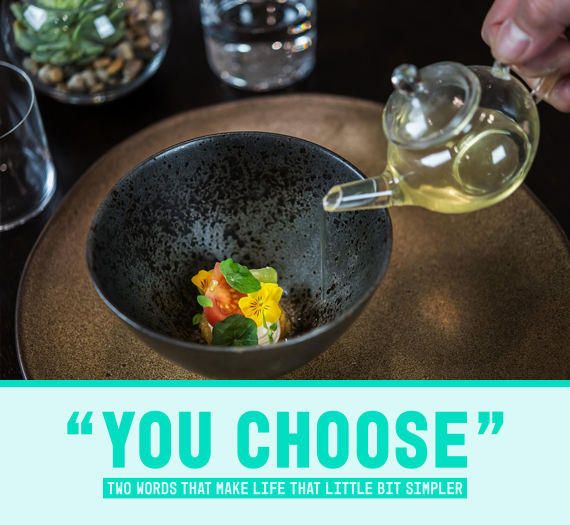 "Half-way through a completely fully booked lunch service one December, a Michelin card was passed to the kitchen — the inspectors were in the restaurant, but with loads of tables for two, we didn't know where. As sous chef, I was on meat and fish, so I knew I had cooked for them, or was about to do so. The experience was slightly terrifying but also very exciting, and we retained the star, so they must have quite liked it! That day opened my eyes to the fact that anyone could be an inspector, and that's how you should treat every person that walks into your restaurant." 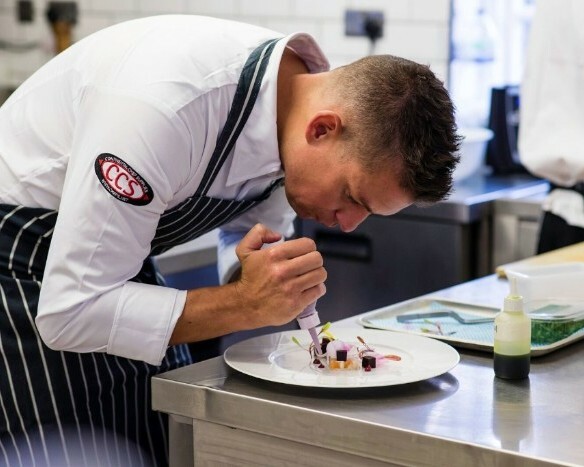 Adam left his role as head chef to achieve England's best ever result in the Bocuse d'Or. He's now runs Michelin-starred The Cross. 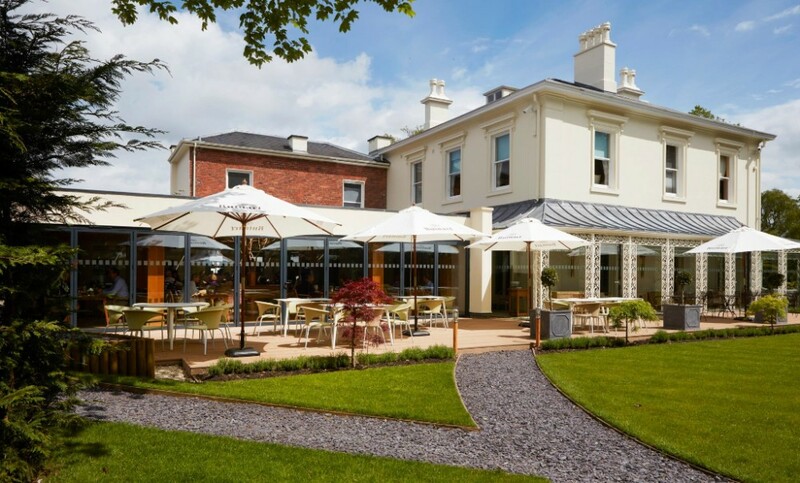 "In 2004, Simpsons moved from Kenilworth to Edgbaston, and it was such a big change for the restaurant. We'd gone from a small team, where everyone was on the same station each night, to a seven-day-a-week operation. And me and Luke were completely in the sh*t. For three months we had late finishes, early starts and so much hard graft in between. We realised how simple operations had been in Kenilworth, and how much we had to learn. But in many ways, this was my favourite time — I enjoy a challenge, and I'd say we pulled it off." "Luke and Andreas asked me if I had two minutes for a sit-down. They'd never asked me that before and I thought, right, I'm about to get a b*llocking — we work hard but, you know, we also have a lot of fun in the kitchen. They actually wanted to talk to me about how well I was doing, and that I was being promoted from commis to chef de partie. I was over the moon — properly made-up. I'm senior sous now, and enjoying working alongside Luke as his right-hand man. In both time and ideas, I've got loads more to give to Simpsons, and I'm excited for the future." Sending out our first ever issue to a mere 63 subscribers, we now pow-wow with 18,000 of you each week. So come pow-wow with us and look back at 25 years of Simpsons, with dishes you can't get any other way. The one-off menu includes citrus cured salmon from 2002, a frangipane pud from pre-star 1998 and your fish course was originally served in 1994 — the year after opening. Joyously, there's also pork belly from this decade. It's £65 for a cocktail, four-courses, snacks and pre-dessert, our glittering company and Luke will be around to chat about the stories from the kitchen we couldn't publish. On Thursday July 26 at 7pm, email info@simpsonsrestaurant.co.uk or call 0121 454 3434 to get your spot. 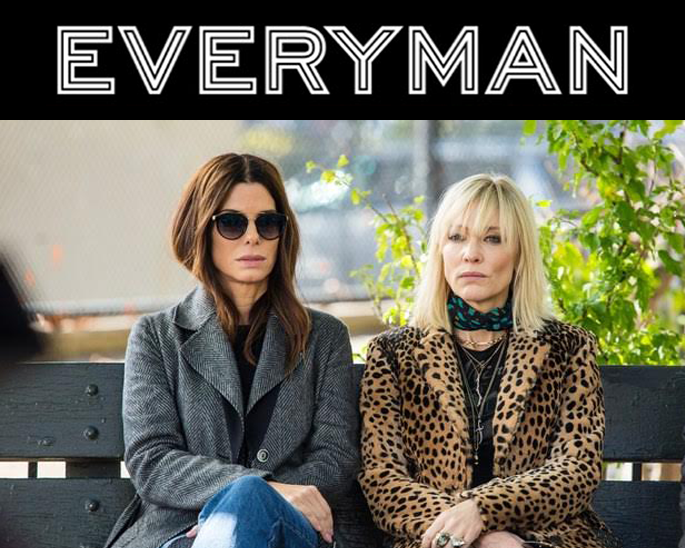 Got plans on Sunday? If not, would you consider making yourself a cardboard suit of war and having a bit of a barney? 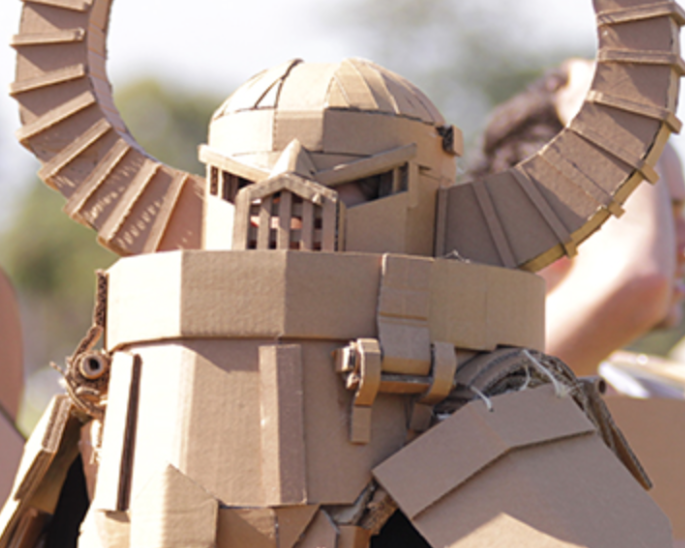 Boxwars is a global craze that started in Melbourne, where you create elaborate cardboard buildings, armour — maybe even whole armies — play games and complete challenges with your constructs, then in a moment of complete carnage, have a battle and destroy it all. 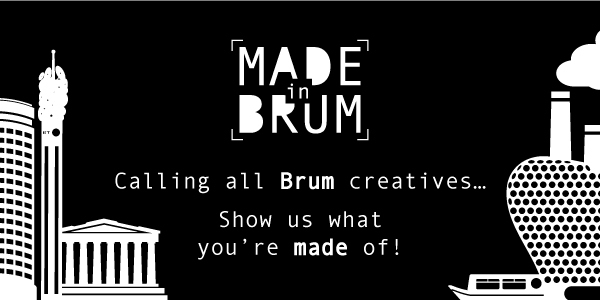 Boxwars' first Brum expedition is this Sunday at Impact Hub (where Zine Fest is also taking place). 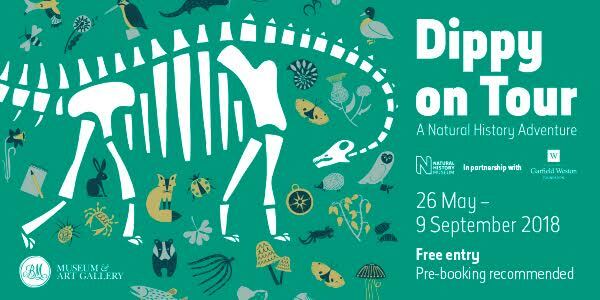 Get making at the drop-in session from 1.30pm until 5.30pm. After which, the courtyard and car parks around the site will become a mini wonderland of cardboard games, with plenty of music, food and tournaments, plus a jolly good wallop of destruction. Until 8.30pm. The event is free but register your attendance for The Big Showdown. Trying a new cocktail is the diciest of games — do you stick with ol' Mr Reliable, or give a tenner to a bartender and get crossing those fingers? 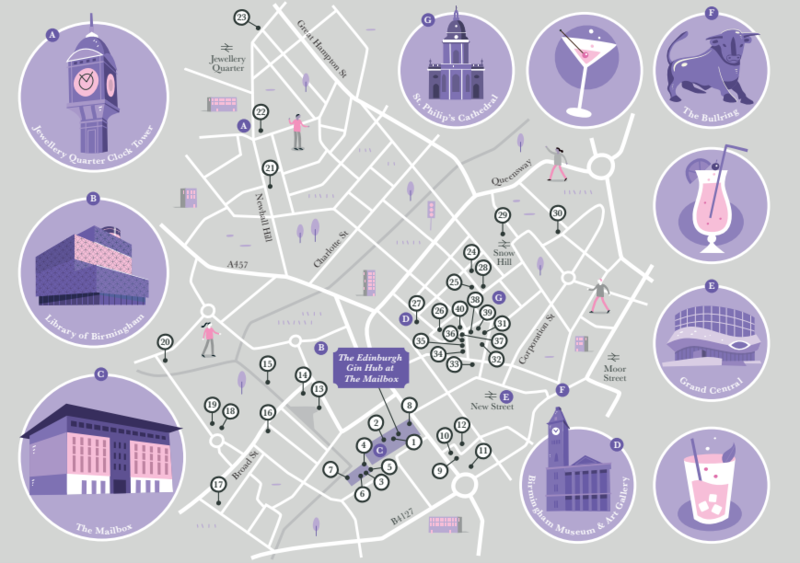 Birmingham Cocktail Weekend gets you access to £4 signature cocktails at 40 venues around the city — so in terms of risk minimisation, the bar is offering a drink it's seriously proud of, and you get change from that tenner, even if you buy two. We got a first look at the officially official 2018 map (above), which you will see shows gin at the centre of proceedings this year. Exchange your tickets for a wristband at The Edinburgh Gin Hub, which will appear in the Mailbox, then £4 cocktails, free tastings and masterclasses will be yours for one beautiful weekend. July 13 to 15. Get your ticket for £10 right here. Be Festival gets Europe's most sparkling dance, visual arts and circus acts right into Brum. From July 3 to 7, it's a visual feasticle. Who can eat 10 bags of pickled onion Space Raiders the fastest? Find out on July 13 at God's own Snobs. First prize? A box of Space Raiders.